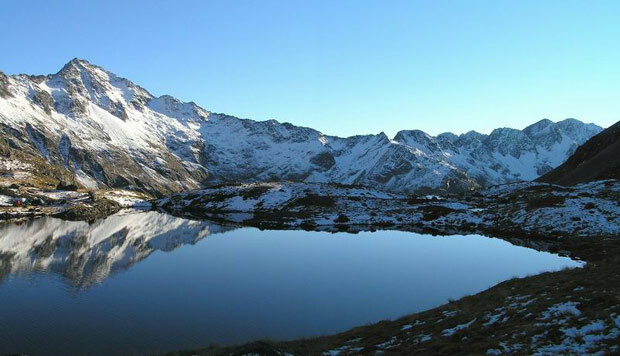 Thompson Pass is in one of the remoter and more spectacular parts of Nelson Lakes National Park. But be warned it can be hell in bad weather. Lake Thompson would have to be the jewel in the crown when it comes to best campsites. 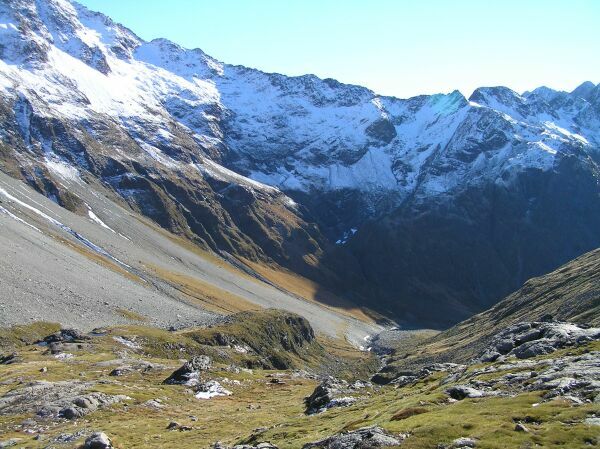 Thompson Pass is best approached from the East via the Waiau Valley. This direction gives you relatively easy access even in cloudy conditions. 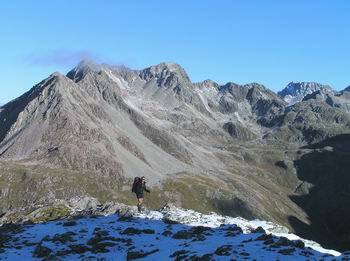 To tramp this route you need to be reasonably fit and have good map, GPS or compass skills. Carry winter clothing at all times of the year. Also a good tent for camping out. Lake Thompson offers a wonderful campsite. The pass can be hard to pick coming from the East Mataktaki and even harder to spot coming up from the D'Urville Valley. Best to get a good weather forecast before setting out. As it can be a miserable trip in wet conditions. 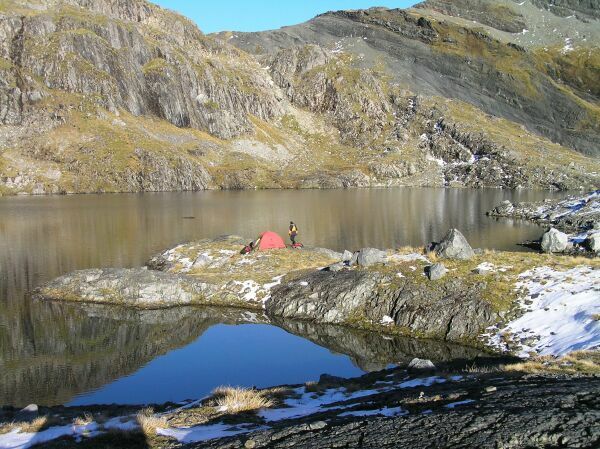 A lot of tramping groups have had to turn back. It can snow at anytime of the year(At least once a month in Summer). There are plenty of escape routes in bad weather. 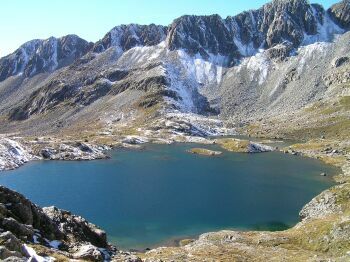 This is one of most popular routes. 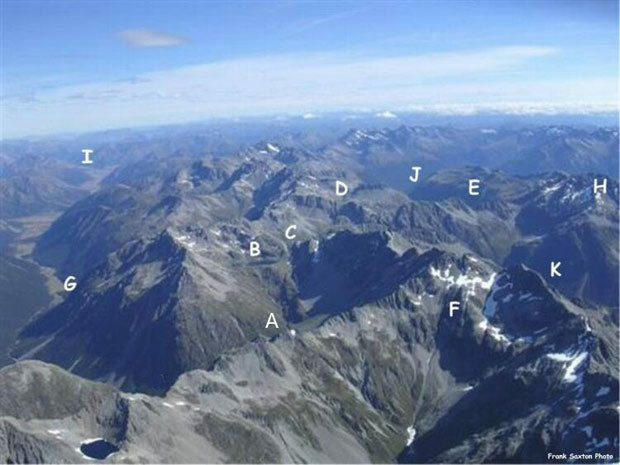 Thompson Pass can be easily spotted from the Waiau Pass. The distinctive fault line that leads straight up to the Pass. Lake Thompson makes a spectacular and welcoming campsite after the steep descent from the Waiau Pass and long haul back up to Lake Thompson. This route is less demanding than the Waiau Pass Route. I'm not a great fan of the Waiau Valley and call it the "Bovine Alley". But it's a lot easier this way if you are carry a heavy pack and are on route to Three Tarn Pass. Once you've reached Caroline Bivy and have side stepped all the cow dung the scenery improves. It's a good 7+ hour slog from Christopher Hut to Caroline Bivy. 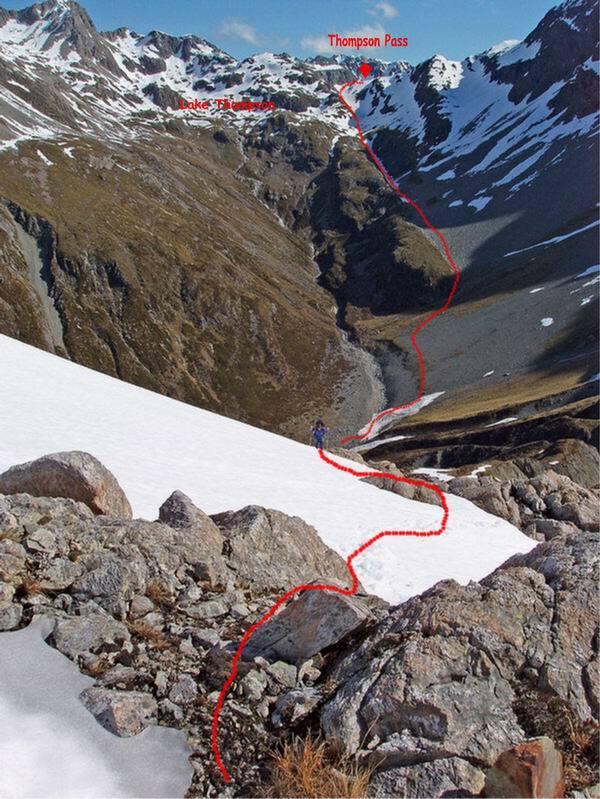 This route is ideal for those on a short time schedule and cuts out most of the slogging up the Waiau Valley. There's good two wheel vehicle access from Hanmer Springs to Lake Tennyson. 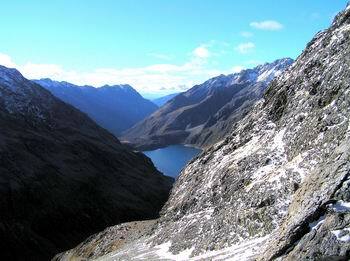 This route is another popular option for those traveling from Three Tarn Pass on route to Waiau Pass or the St James Walkway. You need good weather to spot Thompson Pass coming from this direction. There are two options. This route is best tackled going East to West. Thompson Pass is really hard to spot from the D'Urville Valley floor. Don't be tempted to climb too soon. But wait until you are at the very head of the Valley before slogging up to Thompson Pass. Even then it doesn't become obvious until you reach the Pass. 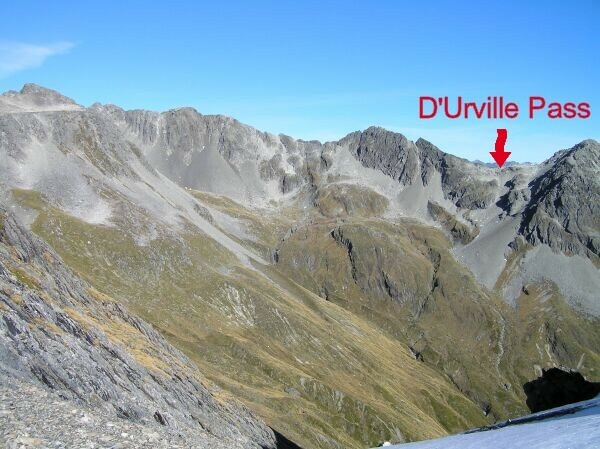 Coming down into the D'Urville is much easier than going up. 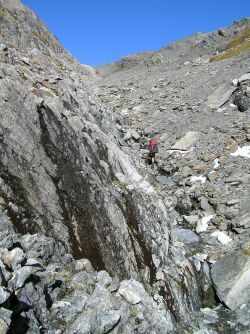 It's a steep descent off the Pass but relatively easy in the deep scree. Continue down for approx 500 metres sidle under the rock rib on the right. 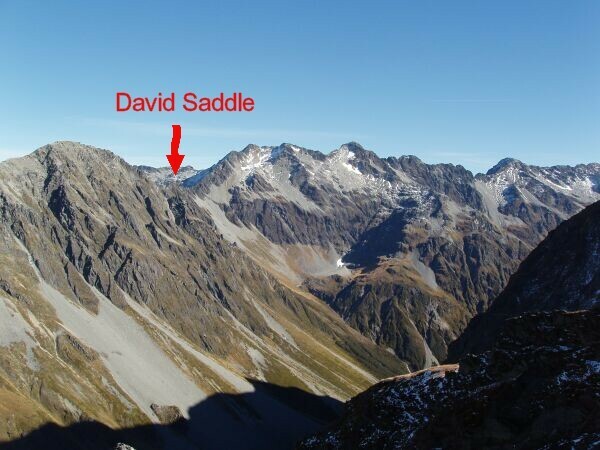 Then start veering to the right picking up the occasional gully to avoid the speargrass hiding in the tussock.Once you have reached the valley floor it's easy travel down to the D'Urville Bivy.There's a marked track on the true left below the route up to David's Saddle.